"He was a good whistler and he had a good walk.... That's as much as I know about him." 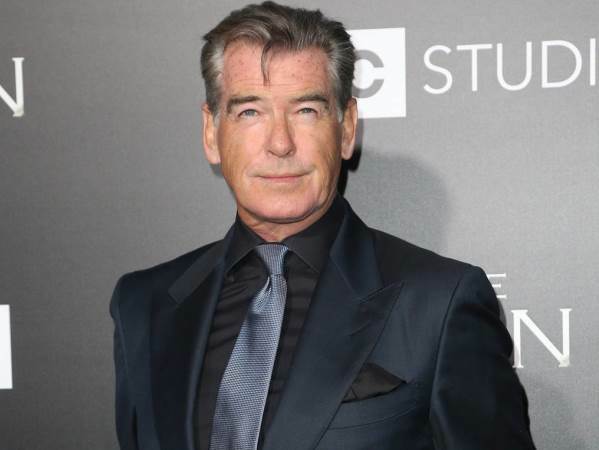 Pierce Brosnan "would have loved to have known" his father, who he only met on one occasion. The 63-year-old actor sat down with Esquire magazine to promote his new Western TV series The Son, in which he plays cattle dynasty head Eli McCullough, who struggles with the lasting impact of growing up without a father. And that's something Pierce can relate to, given that his own dad Thomas abandoned his family when the actor was still a baby. Pierce lived with relatives after his mother May moved from Ireland to London for work and told Esquire that he only met Thom once when he was filming an episode of his hit TV show Remington Steele in Ireland aged 31. "I had a Sunday afternoon with him… (we shared) a story about this and that, had a few pints of Guinness, and we said goodbye," Pierce told the magazine. "I would have loved to have known him. He was a good whistler and he had a good walk.... That's as much as I know about him." The lack of a father in his own life meant Pierce had no one to learn parenting skills from, but he has muddled through with sons Chris, 44, and Sean, 33, who he had with late wife Cassandra Harris, and Dylan, 20, and 16-year-old Paris with wife Keely Shaye Smith. "I know what it's like to bring up sons," he added. "It can be a very arduous road... My fatherly instincts are purely my own. They relate back to no one because there was no one." While Pierce remains one of the word's most successful actors, his personal life has been a turbulent one. His wife Cassandra, daughter Charlotte, Cassandra's daughter who Pierce adopted during their marriage, and long-time producing partner Beau Marie St. Clair all died after battling ovarian cancer, and the former James Bond star admitted he struggles daily with the tragic losses. "I don't look at the cup as half full, believe me," he said. "The dark, melancholy Irish black dog sits beside me from time to time."